Back in April 2007, I decided to watch an anime series called Hayate no Gotoku!, or as it is known in America, Hayate the Combat Butler. Blog reader HughRoe told me I should start reading the manga, and since Viz was adapting the series with full use of Japanese honorifics, I started buying in September 2008. It is hard to believe that ten years has passed since I was introduced to the franchise. What a ride it has been. 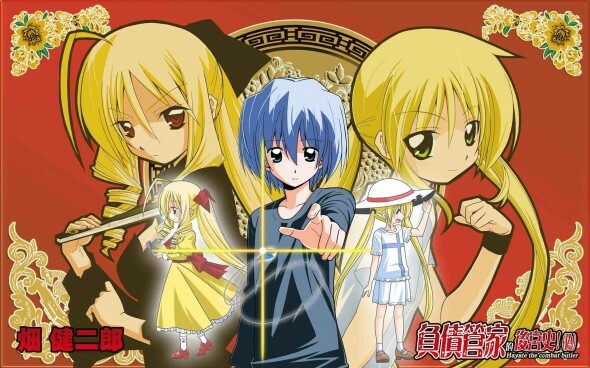 For those unaware, Hayate the Combat Butler centers around AYASAKI Hayate, a high school boy who’s parents sell him to the yakuza for roughly ¥150 million. In desperation to save his life, Hayate decides to kidnap an ojousama in a local park, named SANZENIN Nagi. Hayate asks for Nagi’s cooperation in the kidnapping, which Nagi interprets as a love confession. Hayate messes things up, then ends up saving the orphaned Nagi from other kidnappers. As a result, Nagi hires him as her butler, where he works alongside Nagi’s maid (and chief caretaker) Maria as well as chief butler Klaus. Nagi lends Hayate the money to pay off the yakuza. Throughout the course of the manga, Hayate proves his worth as a butler, both in terms of cleaning and such, but also in saving Nagi’s life repeatedly. He transfers to Nagi’s school and becomes involved with a number of other female students, all of whom are friends with Nagi. When Nagi briefly loses access to her mansion, Hayate is there to help her in running an apartment house that was owned by her mother. Hayate also helps an idol named Ruka, who’s work as an aspiring manga artist causes Nagi to grow as a character. After a year, Nagi discovers that Hayate never loved her romantically. This leads to the final conflict and a resolution over who inherits the Sanzenin Legacy. For the first sixteen volumes of the manga, Hayate the Combat Butler is mostly an adventure-comedy gag manga with a side of harem romantic comedy. During this time, we are introduced to a large number of supporting characters such as Hayate’s former classmate Ayumu (who’s in love with him), Sakuya (an ojousama cousin of Nagi’s), Isumi (an ojousama friend of Nagi’s who is skilled in Eastern magics), Hina (a friend of Nagi’s and the president of the student council at the elite Hakuou Gakuen academy), Chiharu (an officer of Hakuou Gakuen’s student council and a secret maid for Sakuya), the three “idiot” class officers Miki, Izumi, and Risa (all friends of Nagi who like to cause trouble), Father Radiostar (the ghost of a Catholic priest who is a figure otaku), Tama (Nagi’s talking white tiger), Yukiji-sensei (Hina’s lazy, drunkard older sister who teaches at Hakuou Gakuen), Wataru (Nagi’s official betrothed), Saki (Wataru’s adult teen maid), and more. The plot, such as it is, has two main elements. The first centers on Hayate having to replay Nagi the ¥150 million and adjusting to life serving as Nagi’s butler. The second and central plot pillar is the Sanzenin Inheritance (or Legacy as I will call it). Nagi’s wealthy grandfather Mikado wants to give the legacy to Nagi as an inheritance, but he will give the inheritance away to anyone who can make Nagi cry. Further, Mikado gives Hayate a pendent with a King’s Jewel and instructs him to keep it with him at all times. For these sixteen volumes, the plot elements seem to serve little more than elements to base the gag comedy or harem comedy elements on. Sure, Hayate may have incredible strength, stamina, speed, etc, but that’s just for the gag moments or to bail Nagi out of trouble, right? Hayate may talk of a former girlfriend he had, but again, it is all for larks, right? The plot elements are so subtle, they are not really that noticeable. At this point, Hayate the Combat Butler is all about the gags, laughs, the harem stuff, and the adventures. With volume 17 (chapter 178 to be precise), Hata-sensei took Hayate the Combat Butler from being a gag adventure comedy series (with a side of harem romance) to something much more interesting. Here, Hata-sensei uses this arc to help provide additional background to Hayate’s character via an extended flashback that ends with chapter 187. We are introduced to this former girlfriend of Hayate’s, named Athena. Then, we see the short time Hayate spent with her in another realm (the Royal Garden) where time does not move. Hata-sensei decides to retcon the young Hayate being a butler for the young Athena (when Hayate the Combat Butler started, Hayate had no idea what being a butler was all about, but did know how to clean things). He then shows us why Hayate is so strong and why he has so much stamina (magic from Athena). We get to see the young Hayate train with Athena, showing why he’s good with a sword. Suddenly, a lot of things that had seemed like nothing in the first sixteen volumes of the manga held deeper meaning. For me and many other fans of Hayate the Combat Butler, the “End of the World” arc cause the manga series to have new life. 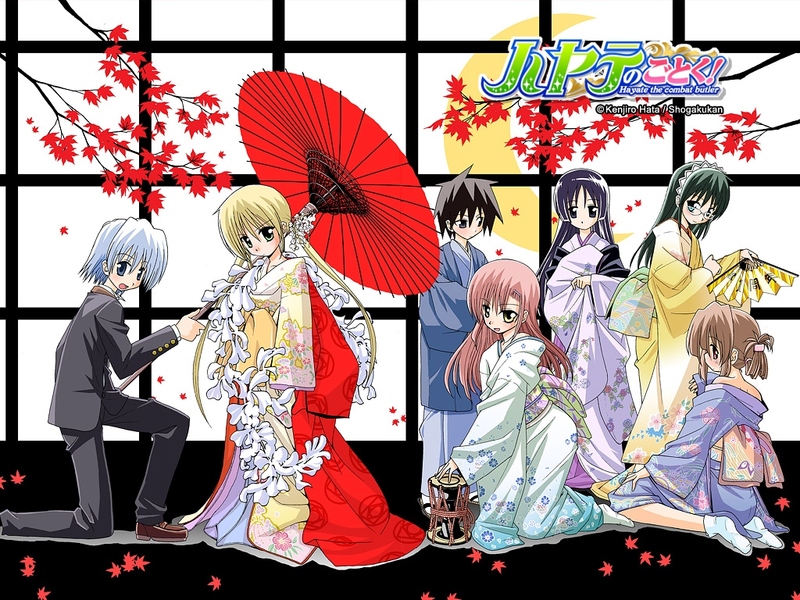 While it had been enjoyable as for the gag humor stories, the action-adventure (w/ humor) stories, and the harem romantic comedy stories, Hayate the Combat Butler was now worthy of serious discussion and consideration. By this I mean that discussions went beyond which girl Hayate should end up with (though that stuff still continued, especially after the “Golden Week” arc). We were interested in the plot and hungry for every tidbit we could find! And we speculated like mad. It was a good time to be a fan of the manga, even if it was dying in the U.S.
For my part, I stopped waiting on Viz’s slow release schedule (which has only gotten worse) and started reading ahead to be current with the Japanese chapter releases. I reread all of the earlier volumes, looking for the clues and foreshadowing for events to come. Hayate the Combat Butler became my favorite manga series. Unfortunately, Hata-sensei held this belief that Hayate the Combat Butler is primarily a gag manga series. In the extras for the different volumes of the manga, he would express concerns whenever he strayed too far from the gag manga elements and would vow to get back to that. As a result, Hata-sensei would neglect the plot of the manga for months at a time. Sometimes, he’d just touch on the plot, but not do more than tease things. When he would briefly get back to the plot, we’d drink it up like dehydrated folks in a desert. As a result, the manga suffered somewhat. Hata-sensei had a number of plot threads hanging about, but sometimes it would be literal years before he would pick one up again. Where Hata-sensei’s reluctance to work on plot really hurt was when he worked on winding down the series. With only a few months to wrap everything up, Hata-sensei didn’t have time to address a number of dangling plot threads. I’ll talk about some later on, but here were things I noted (without rereading the entire series again) that weren’t completed. Mikado’s reasons for wanting to open a path to the Royal Garden (presumed to be something to do with his deceased daughter, Yukariko). Why did Mikado have the Sanzenin Inheritance open for anyone to get? Maria’s entire story, including her ties to Athena and the Royal Garden. What happened to Maria after all was said and done? What was Machina’s ultimate role in the story? What happened to him? Resolutions to the Athena, Ayumu, and Hina romance plot lines (more on that in a bit). Hisui and her (older?) sister Jenny’s background. Why was Hayate able to respond to Yukariko’s call? What did young Isumi do that caused young Nagi to cry and become afraid? If I thought more about things, I’m sure I could come up with a lot more dangling plot threads. All of this could have been avoided if Hata-sensei would have started resolving plot threads 2-4 years ago rather than waste so much time on gag chapters. The ultimate resolution to the Sanzenin Legacy is a serious letdown due to the rushed nature of the ending of the manga. Hata-sensei allows Hayate’s older brother Ikusa to make a cameo and punch out their father, but it is just rather meaningless. Both Ikusa’s and Hisui’s attacks on Hayate’s and Ikusa’s parents were just so Hata-sensei gave the evil parents some comeuppance. Imagine how much more satisfying it would have been is Ikusa and Hayate teamed up and confronted their parents once and for all, not only physically, but verbally as well. Alas, that was not to be. Although Hata-sensei wanted the romantic comedy element to end up with Nagi x Hayate, for whatever reasons (likely the easy comedy aspects since there), he introduced the harem romantic comedy stuff. We had normal girl Ayumu do her confession to Hayate early on. 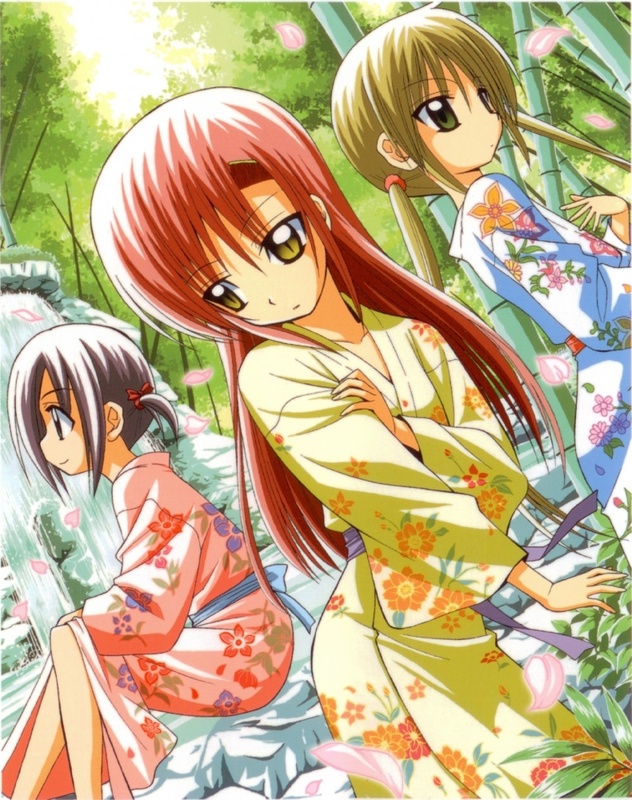 Hayate turned her down because of his debt to Nagi, but since Ayumu refused to give up, she’s the first in the harem. She worked as a love interest for Hayate as they had a history. Further, Hayate did acknowledge an interest in Ayumu were it not for his debt to Nagi. Hina comes in next. She became a fan favorite, so I suppose it isn’t unnatural that she’d fall into the harem as well, howbeit in a more tsundere role. Hayate goes out with her and is clearly attracted to her. Heck, he even lived with her for a few days, staying in her family’s small guest house. She worked as a love interest for Hayate as they worked well together as a team. Athena comes in next and she comes in like a lion. While we are introduced to her in the “End of the World” arc via a lengthy flashback, we are introduced to her current, teenage self in the “Golden Week” arc. Here, Hayate is reunited with his former girlfriend and is resolved to save her. Hata-sensei desperately attempts to prevent Athena from entering Hayate’s harem by having Athena not pursue Hayate even though she loves him. He further attempts to torpedo Athena by having Athena symbolically pass Nagi’s hat to Nagi as well as an empty ring box. Unfortunately for Hata-sensei, it wasn’t enough to sink her. Since Athena was key to the plot regarding the Royal Garden and the Sanzenin Legacy, Hata-sensei turns Athena into a kid again so that Hayate doesn’t go her way. But even this wasn’t enough to sink the ship with fans, which I imagine irritated Hata-sensei to a degree. More on this in a bit. Finally, Hata-sensei adds the idol Ruka to the mix. While Ruka’s purpose was to help Nagi grow as a character, she also fell in love with Hayate. With Ruka, we get a complete arc for a harem girl, right down to a proper resolution of the arc so that Ruka exits the harem with grace. Sadly for the other girls, we get no such resolutions. For Ayumu, she just gives up because Hata-sensei is out of time to wind down her character arc properly. Hata-sensei tosses fans a bone by showing that had Nagi not rescued Hayate, Hayate would have become Ayumu’s boyfriend. However, the ultimate resolution for Ayumu is pretty unsatisfactory. For Athena, Hata-sensei is forced to again have her torpedo herself. Even though Hayate has stated he loves Athena and Athena loves Hayate, Hata-sensei doesn’t want this pairing to happen as his original intent was Hayate and Nagi getting together and doing the things needed to produce children. Athena just removing herself is highly unsatisfactory and never seems believable. That’s because it is forced to clear the field for Nagi. Finally, Hina pretty much removes herself from the field as well. Hata-sensei tosses her fans a bone by having Hina pursue Hayate and start to confess her love to him. But it isn’t a complete confession. We don’t know if Hayate actually heard it. Of course, had Hayate heard it, he might have considered it based on his relationship with Hina. But there’s no time to do anything with it, plus Hata-sensei can’t afford to allow anything more to happen lest the story go in the direction of Hina x Hayate. Now lets move onto Hata-sensei’s intended pairing — Nagi x Hayate. Let me start by saying that I like Nagi’s character. I loved watching her grow as a character over time, though Hata-sensei was often reluctant to keep this maturity in place as it eliminated a gag comedy element from the manga. I’m not even opposed to a Nagi x Hayate ending, had it been done properly. Unfortunately, Hata-sensei’s need to keep gags at the top and the harem comedy stuff in play meant that he never really worked on a Nagi x Hayate pairing. Throughout the entire manga, Hayate was never in love with Nagi in a romantic sense. I firmly believed he loved her as the girl who saved his life. He loved her as one might love a sister. Indeed, when they went fishing, he thought about that very thing (though Nagi took the incident to mean Hayate was making a move on her). But he never saw her as a romantic interest and even seemed appalled by the notion that he’d try to date someone as young as Nagi. 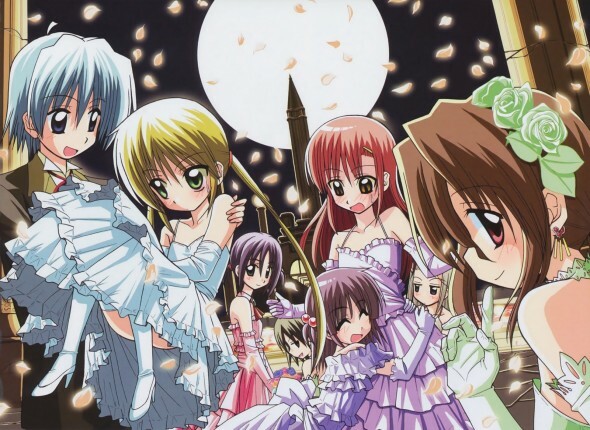 With Ayumu, Hina, Athena, and Ruka, Hayate had clear attractions to those girls. He was never attracted to Nagi. Apparently, even though there is nothing to base Hayate’s romantic attraction to Nagi on, we are supposed to infer things. For starters, I believe Hata-sensei wanted us to infer that because a young Hayate became a butler for the young Athena and fell in love with her (in the limited way children do, but then as he became a teenager, in a more traditional way), the older Hayate will just fall in love with Nagi because she took him in like Athena did. The difference is that with Athena, the romantic nature of their relationship was established from the start and was mutual. With Nagi, it was unrequited on her part and not seen by Hayate. Further, I believe we are to infer that as Yukariko apparently fell for her unnamed butler (the Can’t Take My Eyes Off You anime is not canon – more on that in a bit) and married him, thus Nagi falls in love with Hayate and marries him. Granted, Hayate knew nothing of this, but what the hey. What Would Have Made the Nagi x Hayate Ship Work? As I mentioned earlier, Hata-sensei attempted to prevent the Athena x Hayate ship from sailing by torpedoing it by having Athena give up on Hayate at the end of the “Golden Arc.” He then furthers this torpedoing by having Athena symbolically pass the hat to Nagi. That’s because Hata-sensei understood that Athena killed his Nagi x Hayate ending. Hata-sensei was vague on why he delayed the “End of the World” arc for as long as he did, but looking back, I can see why. I’m guessing Hata-sensei knew that Athena would make it very difficult to achieve the Nagi x Hayate ending he wanted. And he was right. For me, in order to make the Hayate x Nagi ending work, Hata-sensei needed to start resolving the harem elements from the other girls as soon as Ruka departed. Granted it would be impossible to completely resolve them before the manga ended as that would cause the series to end sooner than it did. Imagine if Hina departed from the harem a couple of years ago. The outcry would have been enormous! But at least Hata-sensei could have been laying the groundwork so that when the end came, the resolutions would at least be acceptable, even if it wasn’t one’s favorite ship. The other thing Hata-sensei needed to do was to have Hayate start to possibly consider Nagi as a romantic partner. Hata-sensei only started introducing this as a thought for Hayate just prior to the chapter ending. However, if he had done this, then his plan for the “bomb” to go off between Hayate and Nagi, whereby Nagi opens the path to the Royal Garden in an explosion of negative emotions, doesn’t work. Thus we are left with a bloody mess when it comes to Hata-sensei trying to have his cake and eat it too. Ultimately, he couldn’t develop even the possibility of a Nagi x Hayate ship (beyond the fans knowing that this is what Hata-sensei was going to do come hell or high water) because that killed the Sanzenin Legacy plot. He couldn’t have the other girls bow out ’cause fans would riot and Hata-sensei would be deprived of harem hijinks and romantic comedy gags. If you ask me were Hayate the Combat Butler began a downhill fall, I would say that it was around the time that the anime series Can’t Take My Eyes Off You could not be used as canon. It is my understanding that Hata-sensei wrote the new story elements for CTMEOY (the rest of the anime being adapted from existing manga chapters and reworked to fit the anime) with the understanding that he’d be allowed to use these story elements in the anime. As such, Hata-sensei told the story of Nagi’s parents there, explaining how and why they met, and then what became of Nagi’s father. The Kurotsubaki sword’s tale is also told in CTMEOY. However, once word got out that Hata-sensei could not use the story he wrote for the anime as canon for the manga, I suspect he was devastated. He didn’t have another story telling what happened to Nagi’s father, so Nagi’s father is never thought of again in the manga. I think Hata-sensei had thoughts of trying to salvage something, which explains why he had the class trip go to Las Vegas, why he introduced Ruri to the manga, and why he introduced the Dolly look-alike Director Kananiwa, who was then retconned in as a relative of Mikado’s. As it turned out, the school trip ended up being rather meaningless. Ruri showed up, addressed Nagi as “oneechan,” but then was abandoned. Kananiwa fared a bit better after Hata-sensei dropped any element of her having some ultimate goal for the students on their world wide class trip. When Hata-sensei abandoned whatever plans he had for attempting to come up with something to replace CTMEOY, he was pretty much done with Hayate the Combat Butler. That’s when he tested the waters with the new manga, Ad Astra Per Aspera. With Hata-sensei looking to new waters, no wonder he didn’t bother to properly resolve anything and ultimately just shut down the manga. 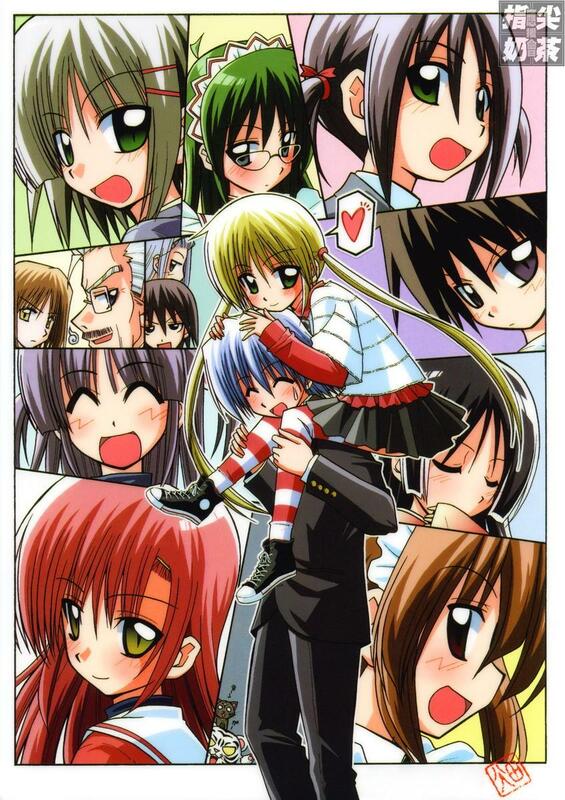 Overall, I can’t say that the years I spent with the Hayate the Combat Butler manga was a bad thing. I know I got a lot of good laughs during that time. I certainly enjoyed the adventures that came up. And until Hata-sensei pretty much gave up on the series, the plot and such were quite good. And yeah, I’m going to continue to buy the manga volumes from Viz, who’s poor sales for the series will likely get even worse because of how the manga ended. Overall, the good in Hayate the Combat Butler outweighs the negatives caused by the rushed ending. Assuming Hata-sensei resumes Ad Astra Per Aspera, I will return to chapter blogging that as well. It was enjoyable comedic manga. Sure ending didn’t blow people away, then again. It was comedy to begin with drops of drama plots put in there. Certainly better than it being out right cancelled and cutting us off before we get to the finish line! True. However, once Hata-sensei firmly established that there was a plot, I felt more should have been done with it to properly resolve things and not leave dangling plot threads.